Read TUNE IN and learn more about Music Therapy! 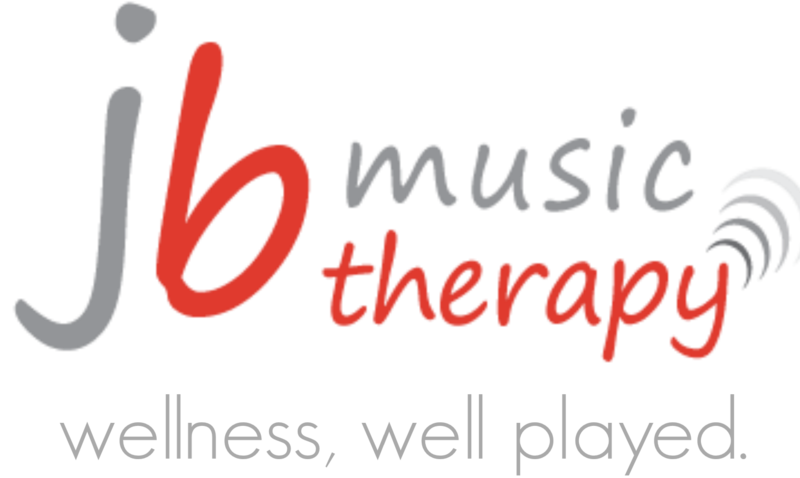 JB Music Therapy partners with over a hundred agencies in Calgary and surrounding areas. Our goal is to provide professional music therapy services to help our community reach their goals faster – ie. help individuals boost their mood, recover from injury, decrease stress, foster learning, improve focus, restore memories and ease the challenge of difficult life transitions. The environments we partner with most often include: Hospitals, Neuro Units/Programs, Dementia Care, Schools, Children’s Development Programs, Forensic Units, Day Programs, Addictions Programs, Mental Health Facilities, Palliative Care, Long Term Care, Corporate Wellness Programs. For all ages and abilities. JBMT has a team of Accredited Music Therapists who look forward to working with you. Some research to support the evidence we witness daily. Conference Keynotes, In-services and Community Information about music therapy and the benefits of music for your health and wellness. We are so very happy that our residents are able to access your high quality services. Everyone from JB Music Therapy continues to impress me with their professionalism and dedication to our residents.